Baby Chechi's chicken coop was teeming with life. I followed a group of M Phil students from Cochin University of Science and Technology (CUSAT) as they greeted the mirthful matriarch and her infamous pets. 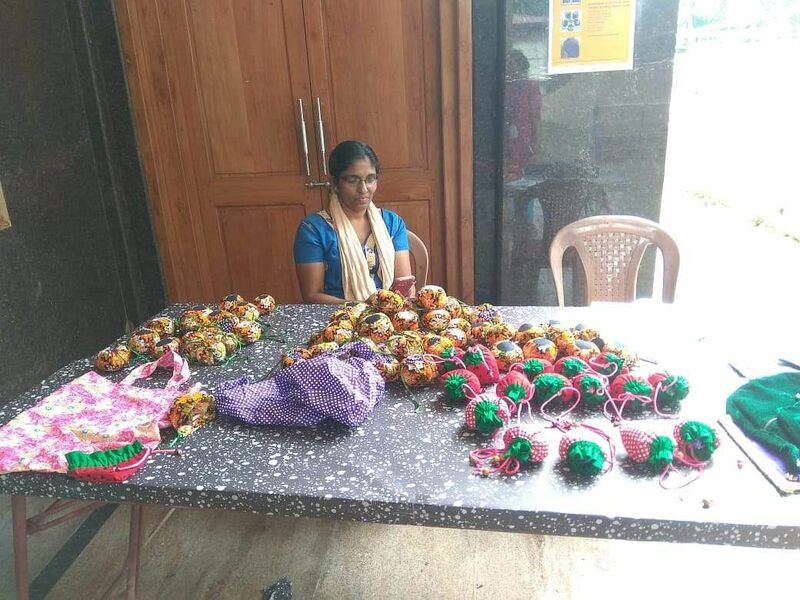 Following the Kerala floods, Baby had lost all 50 of her chickens, her only source of revenue. The students worked with their university's alumni association to buy her 20 brand new chickens and put a smile back on her face. These newly recovered wide smiles can be seen in every corner of Palathuruth where 351 families decided to work together as a family to bring sunshine back into their lives. It was not always cheery in the village. A resident and one of the main members of the relief work initiative, Shaneer PS says, "I remember that the floods began on August 15. By lunchtime, we remember water seeping in around us. At the time we were unperturbed, in fact, we happily expected for it to clean up the place and recede. The gravity of the situation hit us around 5 noon. The water began to reach around our waists. By 8 PM that night, the expressions on our faces had changed completely, it looked like we had stared death in the face. People were running to save their families and possessions. Our goats, cows and chickens were running amok." Some villagers found rescue boats and saved children and the elderly. Over 2000 people survived on an elevated area nearby. Surrounded by water on all four sides, they were completely trapped without food or basic amenities. Even the rescue boats that carried food were barely able to reach the residents. "We lived like this for the next 5 days," says Shaneer who swam all the way to Manjaly where he begged for food and resources for his people. "Then the water started to recede slowly. Our land had transformed into a graveyard by the end of it. There was no light coming in and no one made a sound. We would find the carcasses of our pets lying around. We'd hear the sounds of cats crying and it would break our hearts," he says, tearing up at the memory. He goes on to say, "Until this time, I barely knew the people who lived around me. But the people of this village decided to take our fates into our own hands. We decided to step out and lend a hand at any cost and that was the moment we truly became a family. Our aim is to bring the village back to life and make the life of its people better than it used to be. I would swim to Manjaly to beg for provisions from anyone who would hear me out. We call ourselves oppam." In Malayalam, the word means 'to stand along with' and the village stands with each other. "Our first aim was to bring life back into the village," says Naseema Beevi, an advocate. 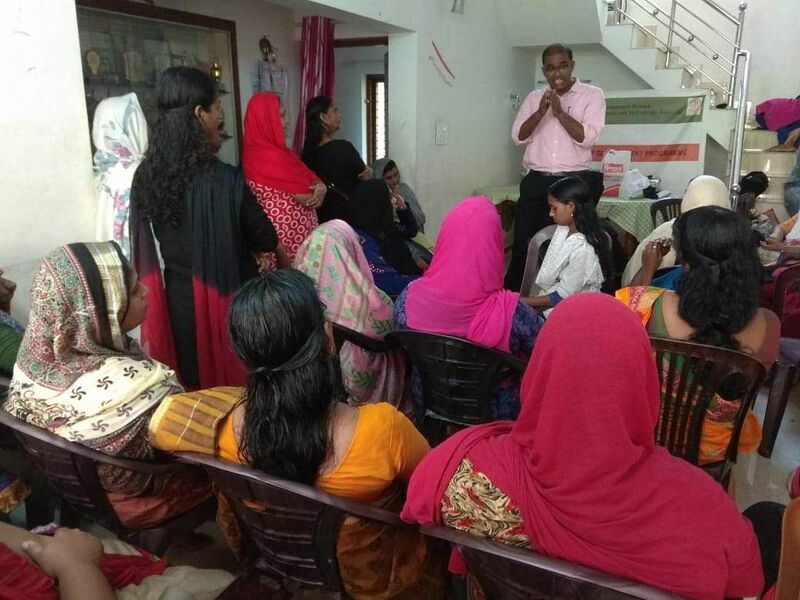 "For this, we collected the data and numbers of the people living here and organised a counselling programme. We can't just focus on the physical affects of the floods, people were even more impacted emotionally. There were housewives, professionals and children alike who urgently needed some mental support. So we organised a class for them. It had art, dancing and music. It was an attempt to bring some life back into the community. And it worked. Slowly people started to mingle with each other and enjoy themselves." Currently, the organisation is working to reconstruct more than 20 homes that were destroyed and performing maintenance work on other houses. Almost every household in the area is involved in organic farming. 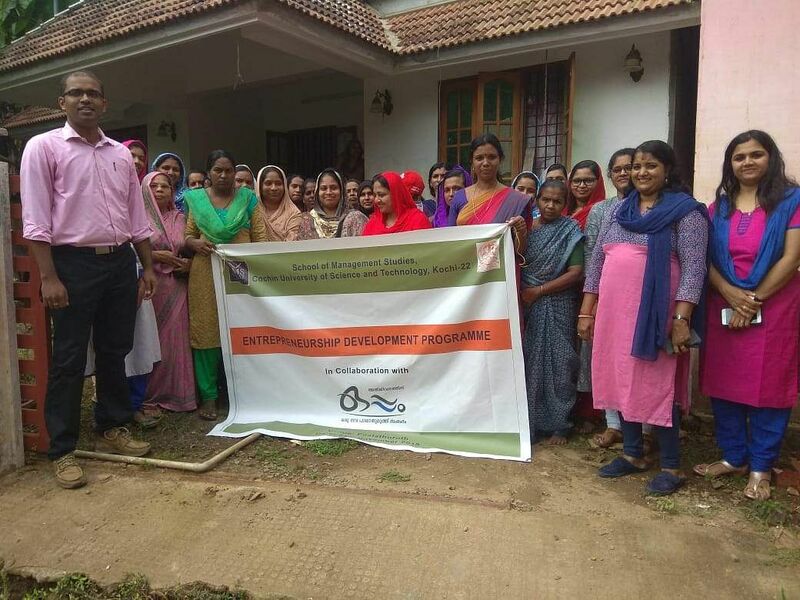 They have also formed women's cooperative groups to create a range of products such as bags, condiments, makeup products like eyeliners and even chocolates. "In our vision to build a new Palathuruth, women are at the forefront. We recently held an exhibition in CUSAT. People are requesting orders through WhatsApp and other social media platforms," says Naseema. "We still have a lot of work to do," says Shaneer. "We want to bring peace and happiness to every family here. I want to see smiling faces in every household. These days, I sometimes find myself feeling glad that the floods had come. There are people living in unimaginable poverty in these parts. They could have never dreamt of building another home in this lifetime. But because the floods took everything away from all of us, the whole village is helping them rebuild their lives. The water didn't wash our dreams away, it brought them back to the shore."